Abstract: Pancreatic cancer is a highly lethal disease, where the mortality closely matches increasing incidence. Pancreatic ductal adenocarcinoma (PDAC) is the most common histologic type that tends to metastasize early in tumor progression. For metastatic PDAC, gemcitabine had been the mainstay treatment for the past three decades. The treatment landscape has changed since 2010, and current first-line chemotherapy includes triplet drugs like FOLFIRINOX (folinic acid, 5-fluorouracil, irinotecan, and oxaliplatin), and doublet agents like nab-paclitaxel and gemcitabine. Nanoliposomal encapsulated irinotecan (nal-IRI) was developed as a novel formulation to improve drug delivery, effectiveness, and limit toxicities. Nal-IRI, in combination with leucovorin-modulated fluorouracil (5-FU/LV), was found in a large randomized phase III clinical trial (NAPOLI-1) to significantly improve overall survival in patients who progressed on gemcitabine-based therapy. This review will focus on the value of using nal-IRI, toxicities, recent clinical experiences, and tools to improve patient outcomes in this setting. Pancreatic cancer, often referred to pancreatic ductal adenocarcinoma (PDAC), is the fourth most common cause of cancer death in the USA. In 2018, it was estimated that 55,440 cases were diagnosed and 44,330 patients died.1 Total deaths from pancreatic cancer are increasing and are expected to be the second leading cause of cancer death in the USA by 2030.2 This is due to many factors, including limited screening tests, limited efficacy of currently approved chemotherapeutic treatment, and because pancreatic cancer is often diagnosed at late stages, leading to poor outcomes. Overall 5-year survival for pancreatic cancer is about 6% in the USA, and in the metastatic setting, PDAC is almost always fatal.15 Ghosn et al have examined the many dilemmas for oncologists and patients regarding how to approach first-line regimens in PDAC. Clinical efficacy, toxicity, patient preferences, and tumor characteristics should be included in the decision-making process.16 National Comprehensive Cancer Network (NCCN) and European Society for Medical Oncology (ESMO) treatment guidelines recommend clinical trials as the preferred options, and FOLFIRINOX (folinic acid, 5-fluorouracil [5-FU], irinotecan, and oxaliplatin) or nab-paclitaxel (nanoparticle albumin-bound-paclitaxel) and gemcitabine combination therapy for patients with good performance status.17,18 Other treatment options include gemcitabine and erlotinib, gemcitabine and capecitabine, or gemcitabine monotherapy for patients with poor performance status. Best supportive care could also be an option for patients with a debilitating status or multiple medical comorbidities based on physician’s discretion.17 FOLFIRINOX, and nab-paclitaxel and gemcitabine combination therapy are the preferred first-line chemotherapeutic regimens for patients with good performance status. However, most patients with PDAC eventually relapse, leaving them with few options for later lines of therapy. Nanoliposomal irinotecan (nal-IRI) has been developed as a formulation to improve drug delivery and reduce side effects. Combined with fluorouracil and leucovorin (5-FU/LV), nal-IRI has shown significant benefit compared to 5-FU/LV alone in terms of overall survival and progression-free survival (PFS) in patients who progressed on prior gemcitabine-based therapy.19 In this review, we will briefly examine traditional systemic therapy options, and further explore the novel approaches to metastatic pancreatic cancer, including nal-IRI. 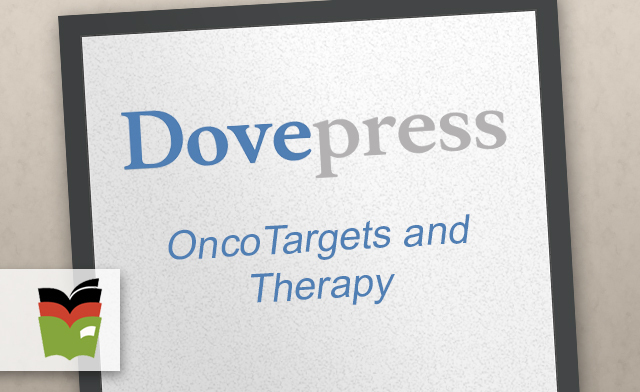 We will discuss the value of using this drug, associated toxicities, and clinical outcomes.